The defibrillator is housed in a vandal proof, heated stainless steel cabinet, guarded by a key pad. Upon receiving a call the ambulance service will direct the caller to the machine and will issue the access code. The defibrillator also has a voice over instruction mode to aid the user, as well as a video presentation to help those who are hard of hearing. 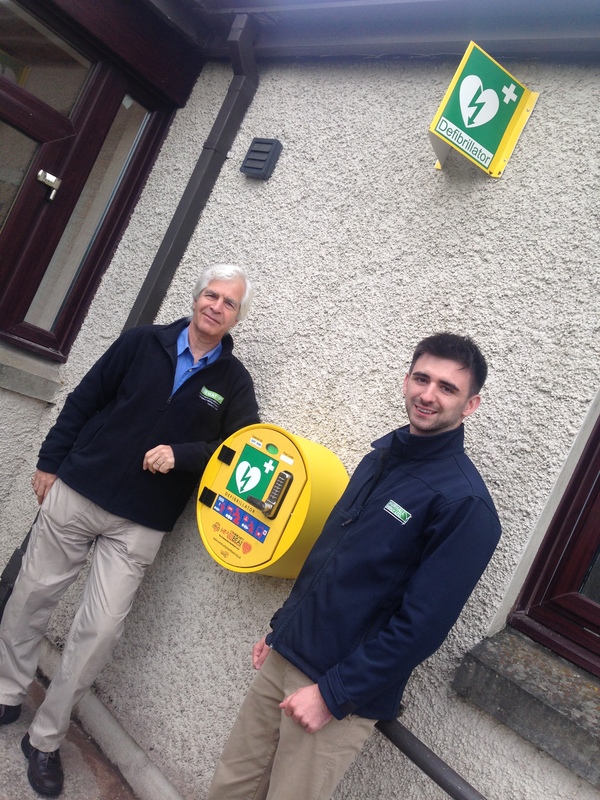 The Defib project has been funded through the Community Benefit agreement between WAT IF? and Muirhall Windfarm Extension, with Muirhall Energy pleased to support such a vital community resource. Jason Morin of Muirhall Energy said: “It is extremely important for local people to have access to and be aware of this resource in addition to our local first responders, should an emergency situation occur.